Today my heart is both heavy and happy. Heavy with building lust and opportunity lost. Happy that a most beautiful, iconic structure has a savior. For the past several hours, I’ve been sucked down the rabbit hole of the #fordetroit posts, absorbing every essence that is the future of Michigan Central Station (MCS) thanks to Ford Motor Company. I grew up in Detroit, and I remember the first time I drove by that glorious building. My heart leapt with joy. How could something so beautiful be so unloved? Certainly, I’m not the only person who asked this question. It’s been debated for decades. But once I laid eyes on MCS, my brain began developing a plan that has morphed a bit over time due to technology and the economy, but hasn’t strayed much from my initial vision. At the time of my first sighting, I was traveling extensively for business. I had to put my idea on the backburner. It sat there and simmered, popped up again occasionally, but I didn’t have the experience to try to pull something like my vision together at the time. 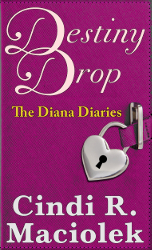 I tracked articles and news stories about MCS, but it didn’t fully come back into my life until I started to write my novel series, The Diana Diaries. Book two – Destiny Dollars – introduces MCS into the discussion and book three (under development) – Destiny Detroit – takes the story to Detroit to pursue the main character’s vision. The setup scenario in Destiny Detroit is fictional, but the development of the MCS project is all real in my world. My writing is influenced by my interests, and MCS, which took hold of my heart from the first moment I saw it, is part of that. I had hoped to bring it to life, at least through my book, at best through a finalized business plan accompanied by building lovers with deep pockets. 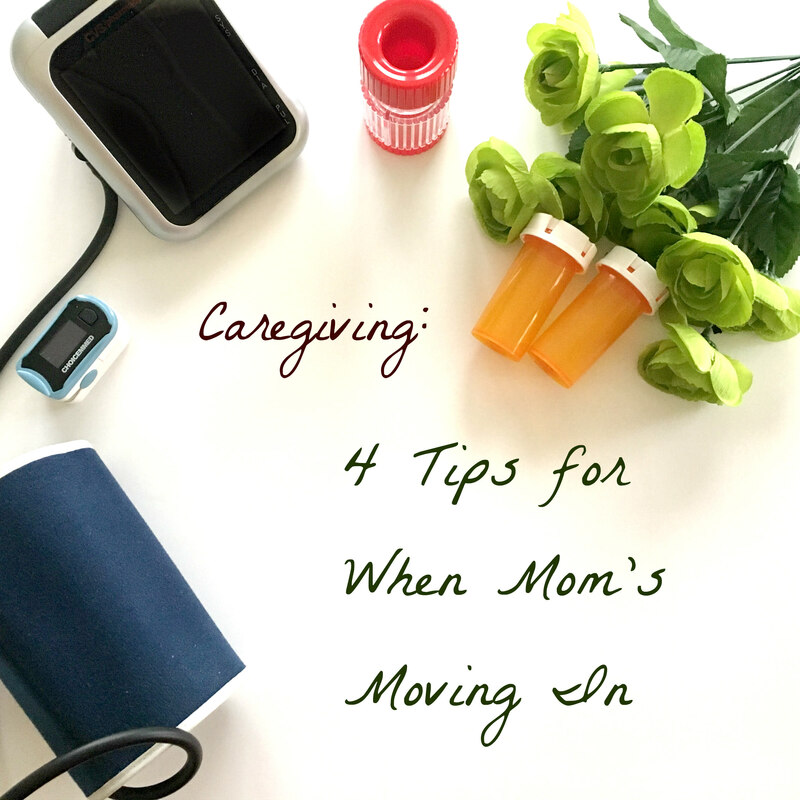 However, the last few years I was a full time caregiver to my mother, and aside from the moments to write here and there, I couldn’t spend a lot of time on my business plan. I had done some research, put together some spreadsheets to support my premise, but my focus was on my Mom. MCS had sat empty for so long I figured I had another year or so to jump in full force. First, finish the book, then present my plan to potential investors. Alas, that won’t happen. But Destiny Detroit will still contain my vision. Joy Mangano, the HSN power lady and author of Inventing Joy, learned the lesson of not acting quickly enough on her idea for a reflective flea collar. We all know who beat her to market with that product. But, she learned and went on to invent numerous other products that serve millions of people. As I read her book, I kept getting pangs of guilt that I had not fully immersed myself in my MCS project. And now, there is none. Would my idea have generated as much income as what Ford is doing? Probably not. But it would have helped to grow another local industry and provide much fun and flair to the neighborhood. Still, I applaud Ford for stepping up to save MCS and give it life once again. I can’t wait to see the fully restored beauty. And, should they encounter some snags along the way and need an out – I have a great idea waiting in the wings. What am I talking about? You’ll just have to wait to read the book. Fingers crossed it will be out by the end of the year, written through tears of joy and happiness – with a touch of regret. In the meantime, you can read the first two books – Destiny Drop and Destiny Dollars – to catch up on the characters. And, I’ll even send a copy to Bill Ford for his reading pleasure once the third book is complete. Be sure to join my mailing list so you can be the first to know about the official release date of Destiny Detroit. 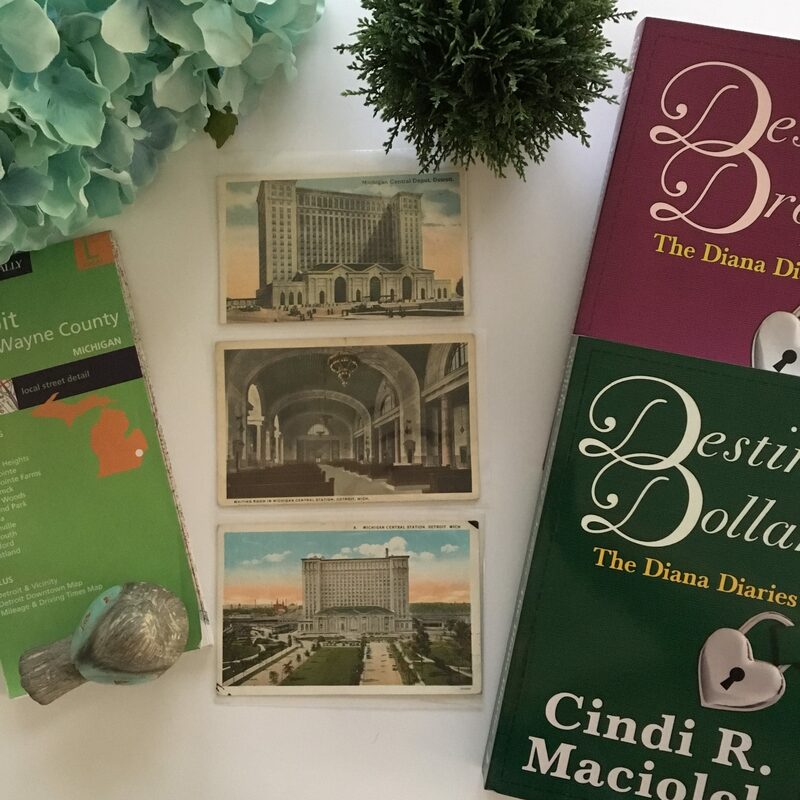 This entry was posted in Cindi's thoughts, Diana Diaries and tagged author, Beaux-Arts, Bill Ford, blogger, caregiver, Destiny Detroit, Destiny Dollars, Destiny Drop, Detroit, Detroit Historical Society, Detroit history, Detroit train station, Diana Diaries, Ford, Ford Mobility Project, Ford Motor Company, fordetroit, HSN, Inventing Joy, joy mangano, MCS, MIchigan Central Station, The Diana Diaries, The Diana Diaries Series, train stations, writer on June 19, 2018 by Cindi. Tame Those Pesky Details – March – Are you making money while you sleep? TTPD – March – Are you making money while you sleep? Ah, the joy of waking in the morning to discover that money was deposited into your account while you were off in dream land. I’m following along with my book, Tame Those Pesky Details (TTPD), where I focus on one specific item each month to keep your business in tip top shape. March is the month for Passive Income, the ability to make money while you sleep. As the Internet pervades our lives more each year, options for passive income become more readily available. Of course, it’s not as easy as waving a magic wand; there is much prep work to be done, but once you’ve put in the effort, you can reap financial rewards for some time to come. I think it’s the ultimate goal of many online entrepreneurs to be able to work as few hours as possible while making as much money as they can. That’s not the only goal, mind you, but by creating a steady online income, you can do anything from quit your full-time job to plan extravagant vacations or donate to your favorite charity. Even if you have some other source of income that you’re content with, earning extra money online is still a good thing. It’s always great to have multiple streams of income. So, where do you begin? 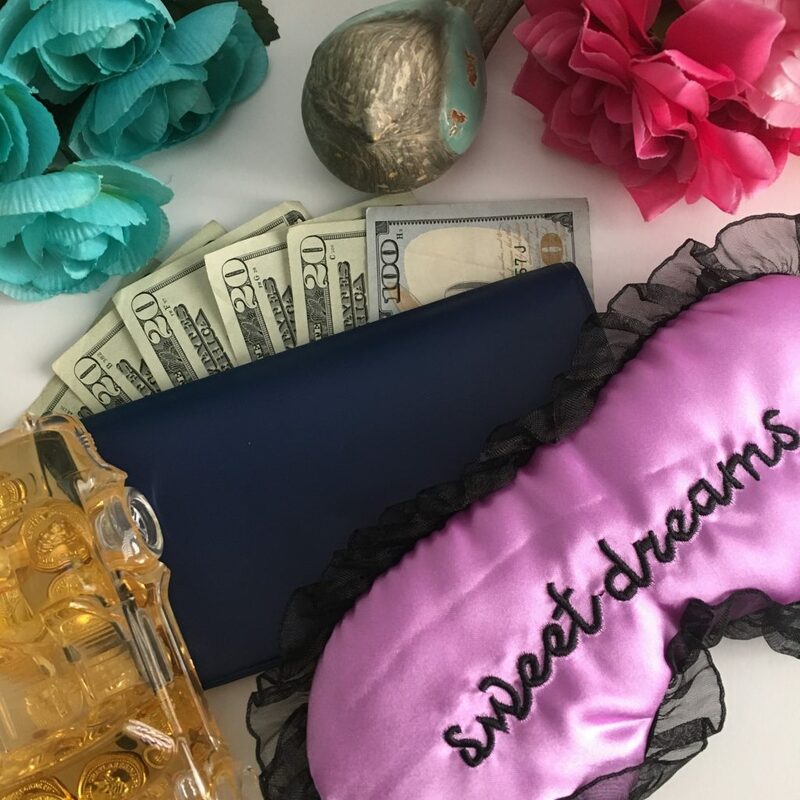 Here are four options to help you build your bank account in your sleep. Affiliate links. Everyone has them. Why not you? If you reference any products in your blog posts, YouTube videos or elsewhere, it’s easy to direct people to the item you’re referring to by including an affiliate link. Your commission will vary depending on the agreement the company offers. Be sure to disclose your use of affiliate links, and check for broken links on your site on a regular basis. Broken links result in lost commission and can even impact your search engine ranking. Books. As a writer, this is one of my favorite ways to find money in my account! With POD (print on demand) and ebooks, there’s no inventory or shipping required. 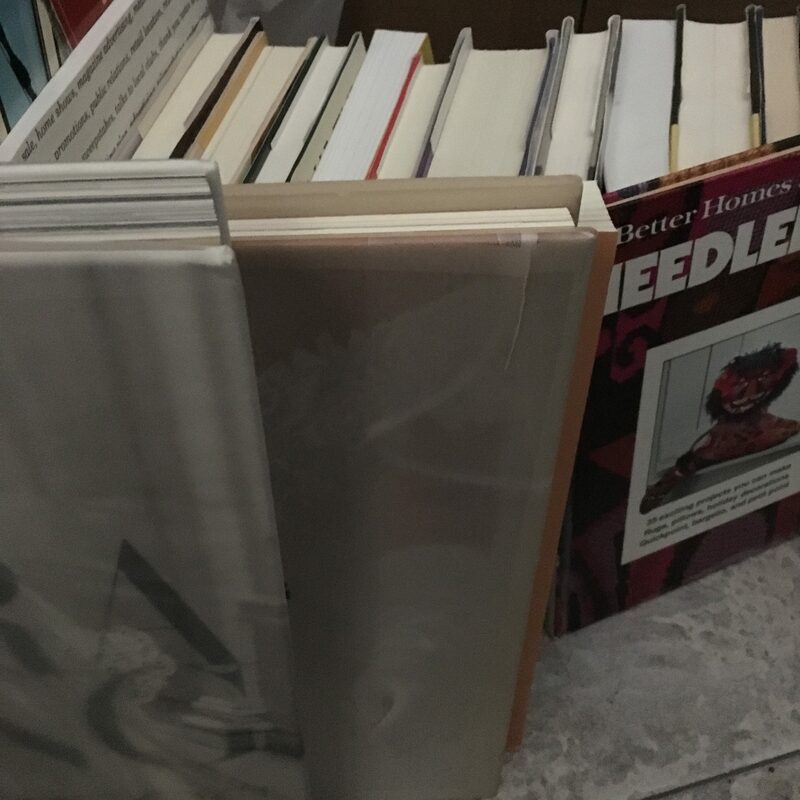 If you have a shop on your site, you can even include the books there, avoiding sharing the commission. Choose a topic – or three – that relate to your business and pound away on the keyboard. Of course, the book will need to be well-written and properly priced, but there are many ways to build a lasting income through the written word. Classes on demand. If you have an area of expertise, or if you can produce training classes that show how to use your products, then online classes might be a good option for you. 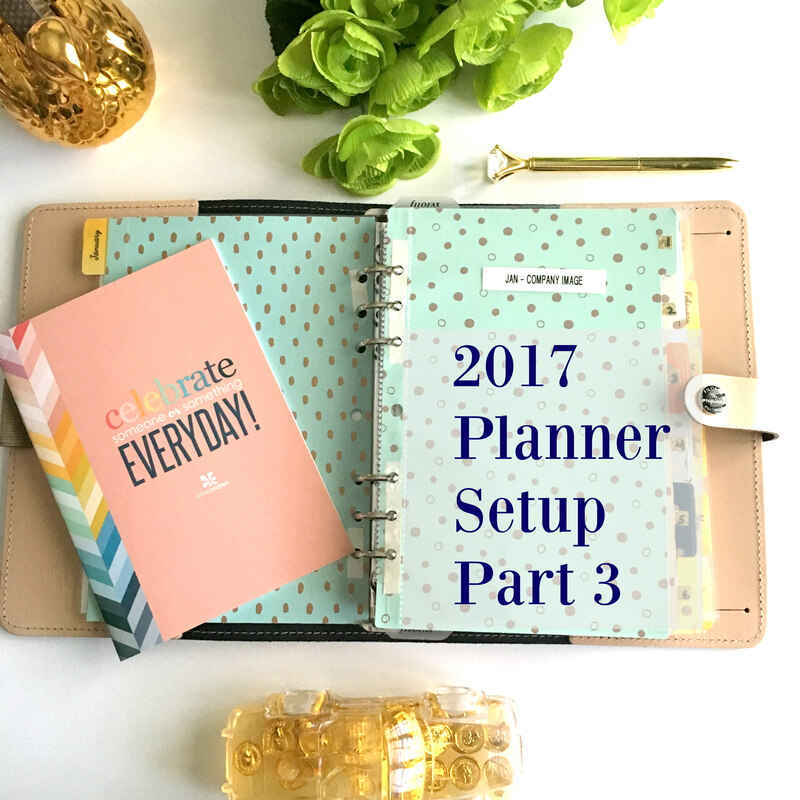 You might need some technical guidance to put this all together, but once you’ve mastered the process, you can create one or two new classes each year to build your offerings. I’ve seen classes for free (particularly when purchasing a product) or for a wide variety of prices, from $19 to several hundred dollars. Don’t feel you have to do everything at once. Choose one method of passive income, make sure it works properly, then add another to the mix. Evaluate your income streams on an annual basis. If it requires too much work to maintain for too little return, consider dropping the stream or item and add or enhance another. Things are constantly changing on the Internet, so what works this year might be passé the next. If you’d like to follow along through the year, purchase your copy of Tame Those Pesky Details. (link below) Print books will be available soon! What are your favorite sources of passive income? I’d love to hear! Leave a comment below. I do hope you’ll enjoy my blog posts, Instagram photos and tweets on Twitter! This entry was posted in Books, Tame Those Pesky Details (TTPD) and tagged Aunti Cindi, Aunti Cindi Presents, bossgirl bosslady, entrepreneur, femaile entrepreneur, female business owners, multiple income streams, online business, passive income, small business, small business owners, solpreneur, Tame Those Pesky Details on April 6, 2017 by Cindi. Tame Those Pesky Details – February – How well can your business run without you? TTPD – February – How well can your business run without you? If you’re a solopreneur or small business owner, chances are you’re focused on growing your business. Or, at the very least, maintaining a smooth operation. A good mindset to have, but what happens when – Heaven forbid – something unexpected occurs and you’re unable to helm the day-to-day activities of your company? If you were part of a large organization, there would be multiple people at the ready to take over in your absence. But, if you’re a one-person show, it’s very possible that no one else has a complete understanding of how your business is run. Every business has so many different facets that it’s more than just leaving passwords, mission statements and banking information for your temporary CEO; contracts, trademarks and even fonts and colors of your logo are all crucial information. I’m following along with my book, Tame Those Pesky Details (TTPD), where I focus on one specific item each month to keep your business in tip top shape, February is Legalities and it covers a wide-range of issues. Having a way to provide a temporary – or even permanent – means of understanding and operating your business will bring peace of mind. 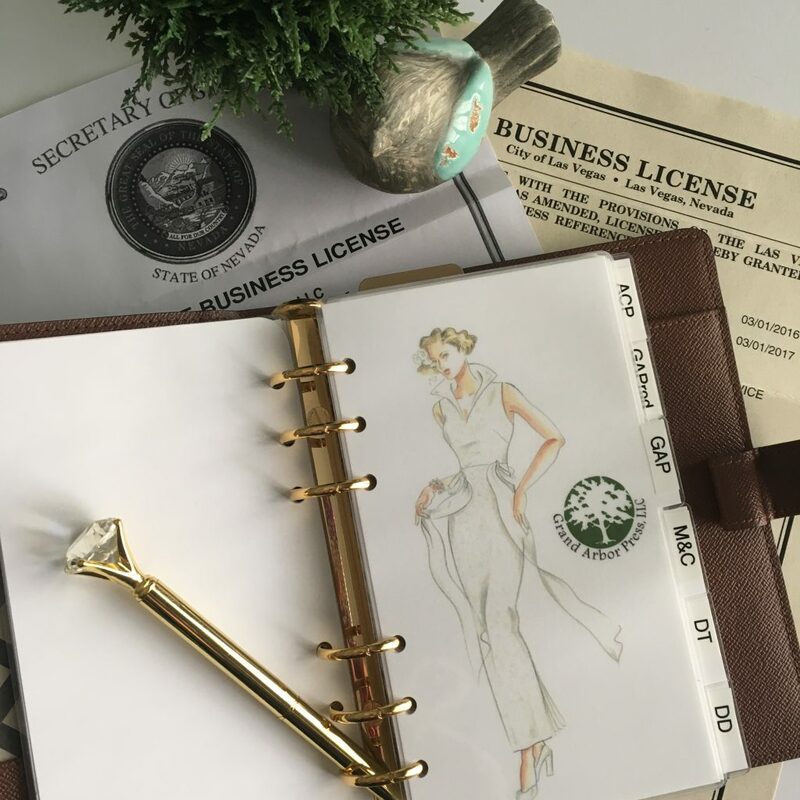 I’ve been busy updating a lot of personal and business items lately, and although I have binders and electronic and paper files filled with the proper data, I realized that it would take a concerted effort for someone to step into my shoes should that unexpected need arise. I also discovered that I was missing some crucial information because my business has been operating for so long and I’ve moved so many times, some things have gotten misplaced. I also think in terms of emergency preparedness. I keep hearing stories of people who had to leave their homes with moments’ notice and left behind some key business info because they were unprepared and were worried about saving their lives, which, of course, is most important. In addition, I’m looking forward to expanding my business in the foreseeable future. Parts of this data collection can easily be organized into an employee reference manual. A little extra work up front will pay big dividends down the line. Again, this is all normal in a larger organization, but smaller businesses might not view this as a high priority. I’m all about having a solid foundation to build upon so this data collection and coordination will benefit me greatly as I move forward. Having all my info at the ready will save me time and frustration and enable me to easily update any changes. Whew! 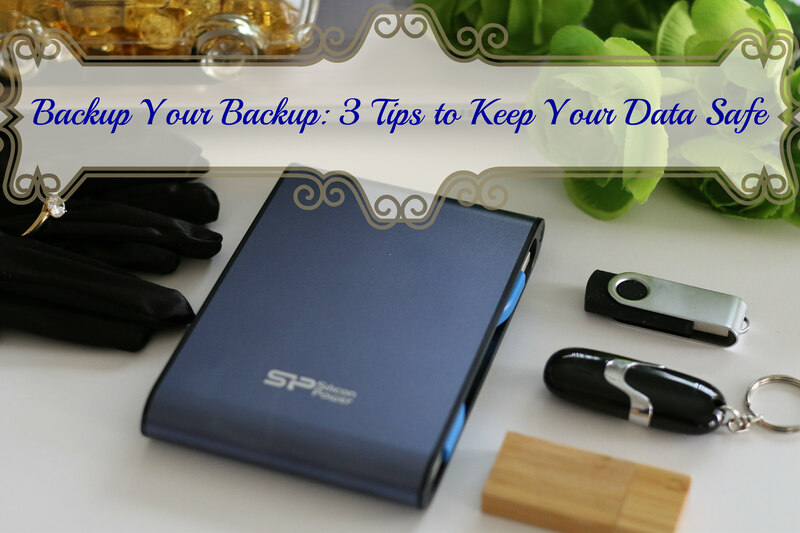 While you’re organizing your business, think about vendors or employees who perform key tasks that you personally don’t know how to do, for example, adding/deleting items from your online store. This may seem like a small item but your inability to make these simple changes can have an impact. 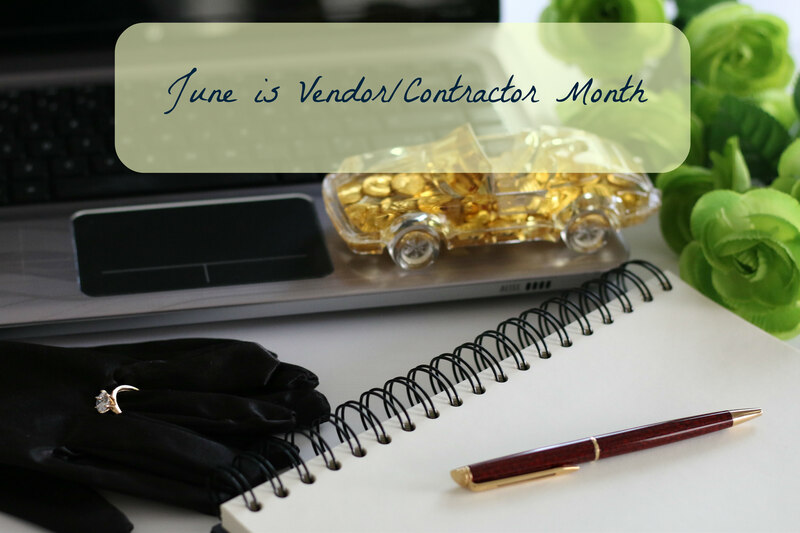 That employee or vendor can disappear on a moment’s notice and your ability to run your business smoothly will be hampered until you either learn how to do it or find someone new to work with. Aside from determining the safest place to keep this info, my next decision is whom to share it with. And, I’m even thinking about a permanent succession plan for down the road. If there’s someone in my family I’d like to groom to take over the business, one can never start the process too early! It will take a couple of months to pull this all together, I suspect, but once I’ve completed it, I’ll post a free checklist in my store. I might even do another blog post with more details. So, keep your eyes on all my social media so you can access the information as soon as possible. How do you organize your business data? Do you have a plan for someone to take over in case of emergency? Have you ever experienced the need to have someone step in your shoes? I’d love to hear all about it. Please leave details in the comments below. This entry was posted in Aunti Cindi Presents, Books, Emergency Preparedness (EP), Tame Those Pesky Details (TTPD) and tagged Aunti Cindi, Aunti Cindi Presents, business owner, Emergency Preparedness, entrepreneur, female business owner, female entrepreneur, girlboss, Legalities, small business entrepreneur, small business owner, solopreneur, Tame Those Pesky Details, TTPD on March 28, 2017 by Cindi. 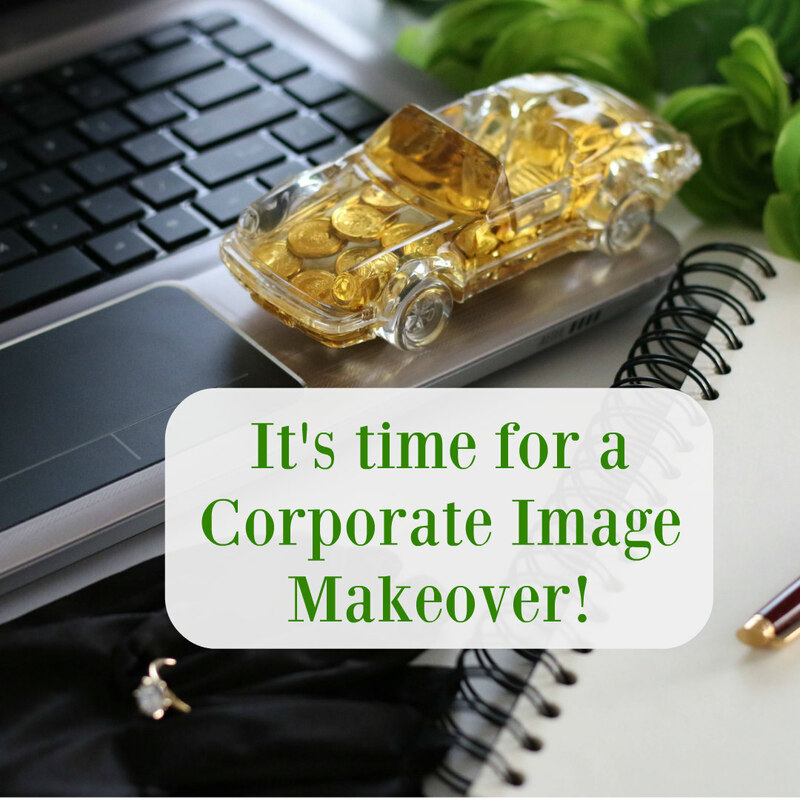 Tame Those Pesky Details – January – It’s Time for a Corporate Image Makeover! In my book, Tame Those Pesky Details (TTPD), where I focus on one specific item each month to keep your business in tip top shape, January is the month for Corporate Image. Your goals were set in December; part of achieving them will be to make sure you have the appropriate corporate image for your business. This month, I’m going to use myself as a prime example. Toward the end of last year, I felt I finally had the vision I had been searching for regarding my online presence. And, I also knew that would require a lot of work! I immediately looked at my website and all my social media accounts. It was time for a major makeover! My logos had been updated recently, so I was comfortable there, but my overall look didn’t scream ME! The Internet has become more and more a place of images, so I concentrated on learning to take the right kind of photos. I spent hours scouring sites and bookmarking those whose photos really drew me in. I also took a wonderful online photography course through StrangeCharmed.com. It was extremely helpful to get my mind going in the right direction. As for my website update, again I spent a ton of time looking at blogs I enjoyed. Usually at the bottom of the home page is a link to the company that designed the theme for the blog. There you can view the multitude of themes that company offers, generally for a reasonable price. I’d already decided I didn’t want to use a free WordPress theme for my update as they wouldn’t have the design elements I knew I needed. There are a surprising number of options available for paid themes. I still wasn’t totally sure what I wanted my site to look like until one of my favorite blogs updated their site. Wow! I loved it!, It wasn’t exactly what I was looking for, but I at least had an idea. I continued to view company theme offerings until I found a similar one that was a perfect fit. Once my website is updated, my social media accounts will follow. Will I finish all of this in January? Probably not. I’m currently in the process of getting all my ebooks ready for print and releasing a new novel. I want to have the print books for photos so I’m expecting to wait until I have copies in hand, sometime in February. However, I will purchase the theme and get done whatever I can, including setting up the store which is a whole new element for my site. Some other tweaks will have to wait a few months but those should be secondary. I’ll do a new blog post once I’ve launched everything. In the meantime, I do hope you’ll enjoy my blog posts, Instagram photos and tweets on Twitter! What corporate image challenges do you face online and what are your plans to fix them? I’d love to hear. Leave a comment below. This entry was posted in Aunti Cindi Presents, Books, Tame Those Pesky Details (TTPD) and tagged Aunti Cindi, Aunti Cindi Presents, business owners, business professional, Corporate Image, corprate image makeover, entrepreneur, female business owner, female entrepreneur, Online Corporate Image, photography course, small business entrepreneur, small business owner, StrangeCharmed.com, Tame Those Pesky Details, WordPress, WordPress theme on January 17, 2017 by Cindi. 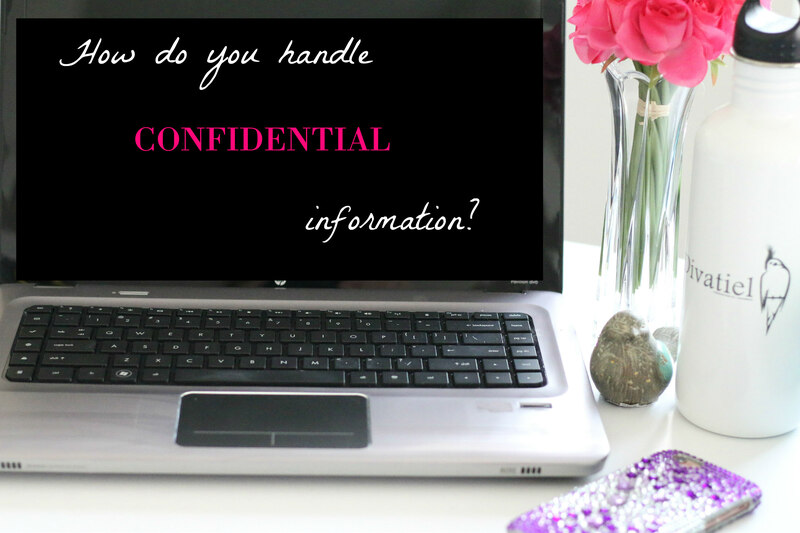 Cindi’s Thoughts – How do you handle confidential information? There’s been a lot of talk in the press lately about how confidential matters have been handled, and I was just curious where people stood on this subject. Let’s view it from a business perspective. I worked in Silicon Valley for many years where I was given a lot of confidential information regarding product development, product launches and any number of other projects in order to properly do my job. I also observed early on in my career that even at the same company, not everyone was read into a project. So, if employees within a company aren’t allowed to know about the subject, why would someone think they can share that material with anyone outside? To me, confidential is confidential. Whether obligated by a formal written agreement or a verbal acknowledgement, confidential data should not be shared with anyone who is not directly involved in the matter at hand. Some confidentiality agreements (also known as non-disclosure agreements or NDAs) allow you to share the data with those you contract with to help execute the project. However, the agreements typically state that you are responsible for all those you share that knowledge with to keep the information confidential until such time as it’s made public by the company. So, don’t share unless you must. When you share confidential information, you do a number of things. First, you potentially undermine the success of the project. If information is released too soon from a source other than a corporate announcement, a lot of bad things can happen including the complete failure of the project or business. In some cases, the information is never to be made public and is strictly for use within the company. Second, you put the person you told at risk of releasing the information accidentally. It’s a small world and you never know who knows whom or what data might be valuable to them. Making an off-the-cuff remark while waiting for your Pumpkin Spice Latte at the Starbucks counter at Target could be overheard by a potential competitor even though it was a seemingly innocent location. Third, you risk your own reputation. If people can’t count on you to keep your mouth shut, they won’t tell you anything. You’ll be deemed untrustworthy and may lose your job, your clients or even relationships with friends or family, depending on the circumstances. Why risk it? Confidential means everyone is not privy to the information. In this age of social media, some people feel they need to share everything. Sharing confidential information on social media can get you fired before your next paycheck. Don’t do it! I’ve had people hit me with the spouse or significant other excuse, that spouses tell each other everything. Really? EVERYTHING? And, when I do raise that argument with others, I’m often told of stories of couples who were married for decades and never quite knew what their spouses did for a living because they were required to keep their work life confidential. If I look back to my Silicon Valley days, it wasn’t unusual for people who worked for different companies to wed. With all the secretive product development going on, I’m sure they didn’t sit around the dinner table sharing design specs. Keeping your mouth shut and doing the right thing can have a negative effect as well. At one point, I had been working with a client for about a year when another company contacted me to consult with them. I was really excited until I discovered that their products would compete with those that my current client had in their long range plan. I had to turn down the new client inquiry. Unfortunately, my existing client eventually chose not to pursue that market so I lost the opportunity to work with a great company on a long term contract, impacting my bottom line. Still, it was the right thing to do. So, now that I’ve rambled a bit about my observations regarding the sharing of confidential material, where do you stand? This entry was posted in Cindi's thoughts, How to Screw Up a Good Idea (HTSUAGI) and tagged Cindi's thoughts, confidential, confidential information, confidentiality agreements, how do you handle confidential informaion, How To Screw Up A Good Idea, NDA, non-disclosure agreements, Pumpkin Spice Latte, Silicon Valley, Starbucks, Target on September 19, 2016 by Cindi. Years ago, back before my Dad passed away, I begged my parents to move in with me in California. They were getting older and I felt they needed some extra attention. Unfortunately, I was traveling a lot at the time and they didn’t want to move across the country where they didn’t know anyone except for me who would have to leave them on their own for days or weeks on end. I eventually moved to Las Vegas to be closer to family and, once again, asked my parents to move in. They still weren’t interested. They wanted to stay as independent as they could for as long as they could. They’d lived in their Midwest home for decades and were not interested in moving. Once my Dad passed away, I asked my Mom to move in with me. She said to give her at least two years. Well, it took almost 10 years, and she’s now been living with me about five years. Lots of things have changed over that time and the world I anticipated having with my Mom as my roommate soon turned to pretty much fulltime caregiver as she’s now nearly 100 years old. I wouldn’t give it up for the world! It’s an honor to take care of my Mom and, although some days can be challenging, it’s also very fulfilling. I’m blessed to have her around so long and she makes me smile every day. I actually tried to start blogging about my experience when she first moved in but it was such an adjustment for both of us, I’m not sure I could have contributed much. Now, five years down the road, I’ve learned a ton, not only through my own experience but through others who have shared with me or by observation. So, periodically, I’ll share some thoughts/opinions about what I learned taking care of my Mom. This is by no means meant to be medical advice. This is just the experience of a daughter taking care of her Mom. They won’t move until they’re ready. No matter how badly you want them to move or how hard you try, parents can be stubborn. Who can blame them? Don’t you want to be independent for as long as you can? Suddenly, once they decide, the move can’t come quickly enough. When Mom finally gave me the go-ahead, due to my schedule and the weather, it actually took nearly nine months. We continued to talk about it the whole time, and when it was time to do the move, she left the decisions in my hands. She was ready. This is a hard one. You have your house just perfect, then suddenly you’re adding another member to the family. It’s like combining households when you get married. Prepare a place that’s all theirs, like a bedroom and bathroom, but don’t limit their existence to that small space. Have you seen Frazier? Well, my Mom plopped her favorite chair in the living room in front of the television when she first moved in and it’s still there. She’s also very fond of clocks. I counted 77 at her residence before I packed her up. I told her she could take 12. I think we’ve hung eight. Bring stuff that’s familiar to them. Sure, you want to buy all new furniture to make them feel special, or perhaps it’s already in the room they’ll use. Maybe it’s a cross-country move and it’s cheaper to just leave the old stuff behind and buy new. Doesn’t matter. It’s important for them to wake up in the morning and be surrounded by things they’re familiar with. We brought my Mom’s bedroom furniture (not the mattress) with her and she’s grateful we did, although furniture and clocks aren’t the only things to make one happy. I’ll never forget the look on my Mom’s face when I pulled her favorite paring knife from the box. She felt at home. It was something she recognized and that, combined with other goodies we brought along just for her, made her start to feel comfortable. She even uses her own dishes because she’s used them for years. The older they are, the harder the move will be. My Mom went from being able to easily walk to all her favorite stores to not even knowing the address and phone number where she lives. She was scared. Every sound was new. When we go anywhere, she immediately grabs for my hand for fear of getting lost. Chances are, at her age, she wouldn’t go anywhere alone but when we’re out together, she’s still a bit scared. As she told me, she held my hand when I was little and now it’s my turn to hold hers. There’s lots more to come so please come back for future posts. This entry was posted in Aunti Cindi Presents, Caregiving and tagged caregiving, caring for parents, elderly care, Frazier, living with elderly parents, moving parents, sandwich generation on May 18, 2016 by Cindi.